Izvinjavamo se! Ova stranice nije trenutno dostupna na Vašem jeziku i zbog toga prikazujemo originalnu stranicu. A new national facility at ESO’s La Silla Observatory has successfully made its first observations. The ExTrA telescopes will search for and study Earth-sized planets orbiting nearby red dwarf stars. ExTrA’s novel design allows for much improved sensitivity compared to previous searches. Astronomers now have a powerful new tool to help in the search for potentially habitable worlds. 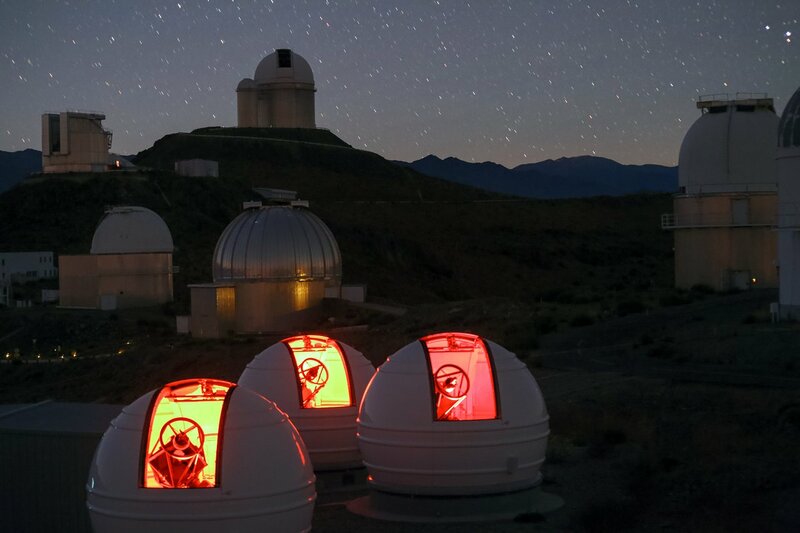 The newest addition to ESO’s La Silla observatory in northern Chile, Exoplanets in Transits and their Atmospheres (ExTrA), has made its first successful observations. ExTrA is designed to search for planets around nearby red dwarf stars and study their properties. ExTrA is a French project funded by the European Research Council and the French Agence National de la Recherche. The telescopes will be operated remotely from Grenoble, France. To detect and study exoplanets, ExTrA uses three 0.6-metre telescopes . They regularly monitor the amount of light received from many red dwarf stars and look for a slight dip in brightness that could be caused by a planet passing — transiting — across a star’s disc and obscuring some of its light. The transit method involves comparing the brightness of the star under study with other reference stars to spot tiny changes. However, from the ground it is difficult to make sufficiently precise measurements this way to detect small, Earth-sized planets . By using a novel approach that also incorporates information about the brightness of the stars in many different colours, however, ExTrA overcomes some of these limitations. 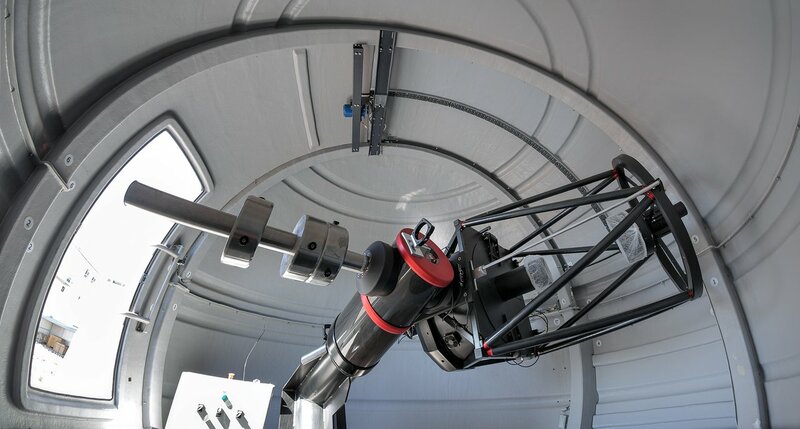 The three ExTra telescopes collect light from the target star and four comparison stars and that light is then fed through optical fibres into a multi-object spectrograph. This innovative approach of adding spectroscopic information to traditional photometry helps to mitigate the disruptive effect of Earth’s atmosphere, as well as effects introduced by instruments and detectors — increasing the precision achievable. Because a transiting planet will block a greater proportion of the light from a smaller star, ExTrA will focus on targeting nearby examples of a specific kind of small, bright star known as M dwarfs, which are common in the Milky Way. Such stars are expected to host many Earth-sized planets, making them prime targets for astronomers looking to discover and study distant worlds that could be amenable to life. The nearest star to the Sun, Proxima Centauri, is an M dwarf and has been found to have an orbiting Earth-mass planet. Finding these previously undetectable Earth-like worlds is only one of two key objectives for ExTrA. 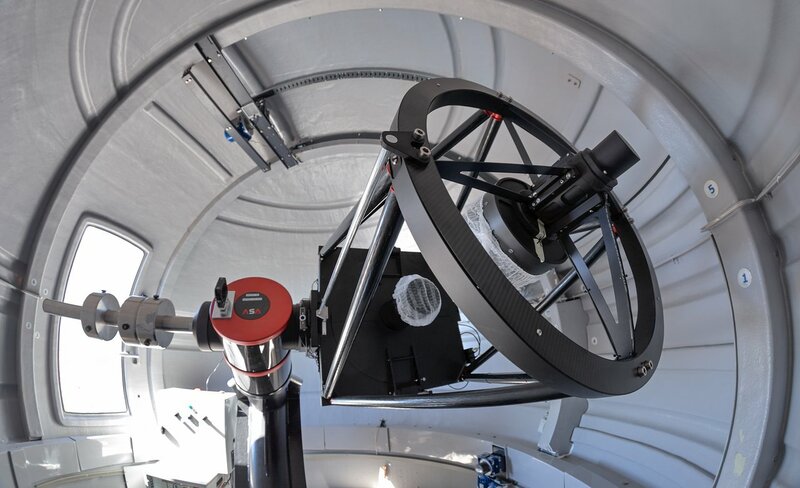 The telescope will also study the planets it finds in some detail, assessing their properties and deducing their composition to determine how similar to Earth they could be. “With ExTrA, we can also address some fundamental questions about planets in our galaxy. We hope to explore how common these planets are, the behaviour of multi-planet systems, and the sorts of environments that lead to their formation,” adds team member Jose-Manuel Almenara. 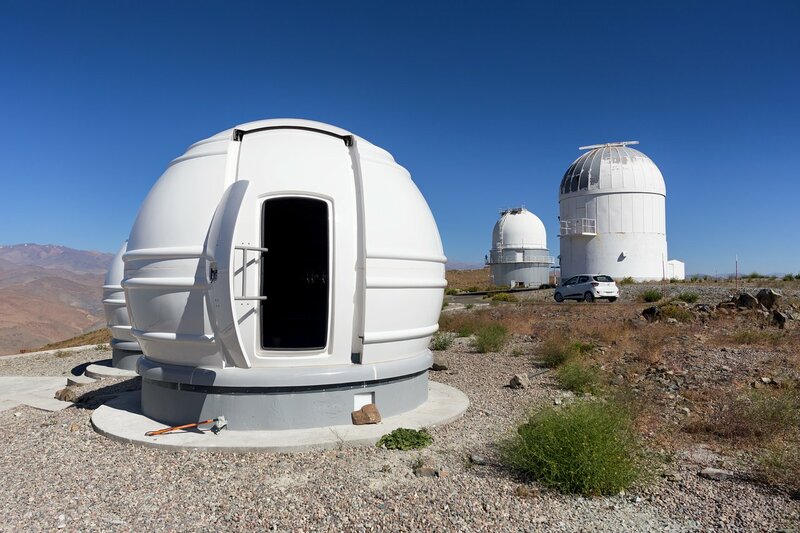 The telescopes and their mounts were supplied by Astrosysteme Austria, the domes come from the Polish company ScopeDome and the infrared camera was made by the US company Princeton Instruments with the detector array from the Belgium company Xenics. Additional information about the facility is available here. This approach, known as differential photometry, involves observing the target star along with other stars nearby in the sky. By correcting for variations that are common to all stars due to the Earth’s disruptive atmosphere, more accurate measurements can be obtained for the target star. However, the dips in light caused by Earth-sized planets are so slight that even this technique is not always sufficient. 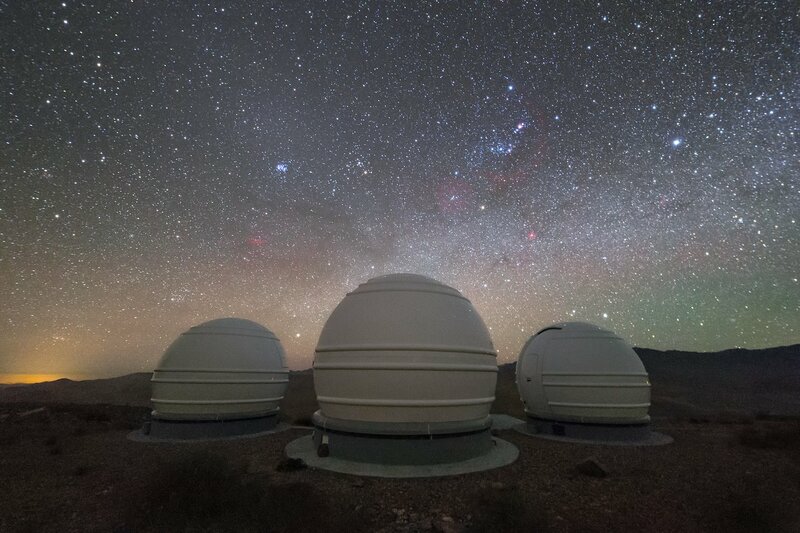 ESO is the foremost intergovernmental astronomy organisation in Europe and the world’s most productive ground-based astronomical observatory by far. It is supported by 16 countries: Austria, Belgium, Brazil, the Czech Republic, Denmark, France, Finland, Germany, Italy, the Netherlands, Poland, Portugal, Spain, Sweden, Switzerland and the United Kingdom, along with the host state of Chile and by Australia as a strategic partner. 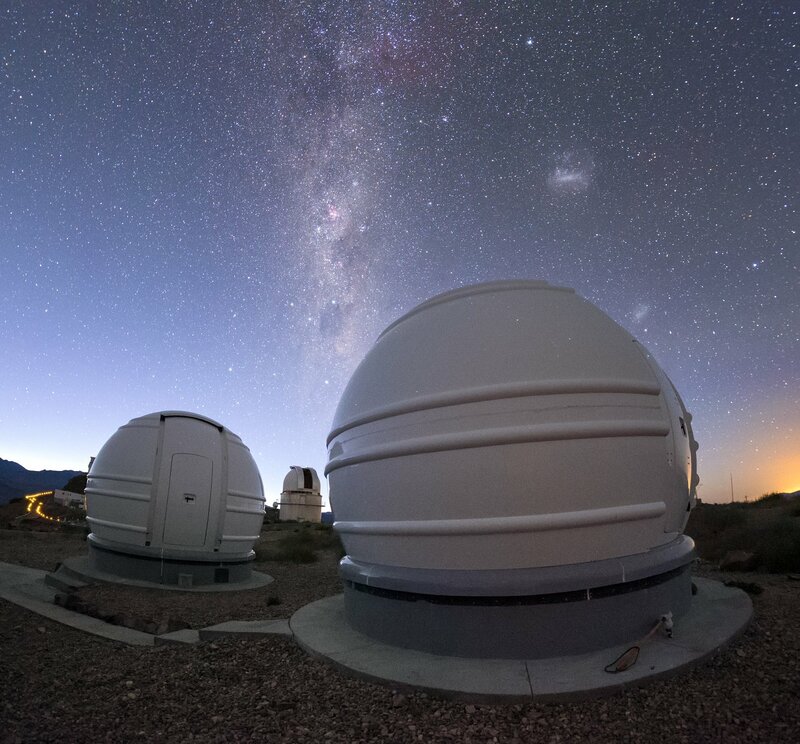 ESO carries out an ambitious programme focused on the design, construction and operation of powerful ground-based observing facilities enabling astronomers to make important scientific discoveries. ESO also plays a leading role in promoting and organising cooperation in astronomical research. 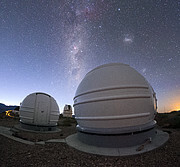 ESO operates three unique world-class observing sites in Chile: La Silla, Paranal and Chajnantor. At Paranal, ESO operates the Very Large Telescope and its world-leading Very Large Telescope Interferometer as well as two survey telescopes, VISTA working in the infrared and the visible-light VLT Survey Telescope. ESO is also a major partner in two facilities on Chajnantor, APEX and ALMA, the largest astronomical project in existence. And on Cerro Armazones, close to Paranal, ESO is building the 39-metre Extremely Large Telescope, the ELT, which will become “the world’s biggest eye on the sky”.